Buying insurance can be a drag, especially when all you get is a few sheets of paper for hundreds of dollars. Here at Western Auto Insurance, we make the experience a little less painful. We are committed to providing you with more than just a piece of paper, rather the support and customer service when you need it. With over 20 years of insurance experience Western Auto Insurance can properly assess your needs, whether its Auto or home insurance, or protecting your family with health or life insurance, we will get you covered. Contact Us (link) now at 916-481-4200 to speak with a professional insurance representative and receive a free insurance quote today! Why Choose Western Auto Insurance? * Low Cost Auto, Home, Business, Insurance! 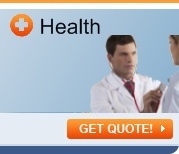 - with the ability to quote & write for multiple California insurance companies, we"re always competitive. * Cheap Car Insurance Rates for All! - as authorized producers of multiple car insurance companies, we can find anyone low rates! We even offer cheap auto insurance quotes on high risk insurance, young driver insurance, Drivers with DUI"s, California SR22 Insurance, non owner insurance & liability auto insurance! * Licensed Agents - Our entire staff is licensed by the California Department of Insurance and are experts in auto insurance. We can help in all stages of your auto insurance policy, from quoting, to purchasing, to servicing.. we"re always just a phone call away.